Because God's people had repeatedly rebelled and chosen to turn an unhearing ear toward his will, God is about to let them face the consequences of their own sinfulness. He is ready to judge them using the harshest of standards because of their entrenched rebellion. We must remember that he wants us to be a holy people just as much as he did his Old Testament people. Let's be faithful to him, no matter the values of our culture. 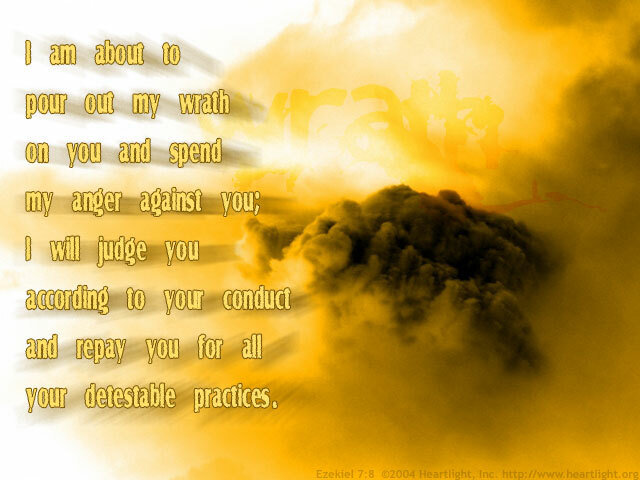 O God, please do not rebuke me in your wrath, but encourage me to live for you no matter my circumstances or my culture. I want to be faithful to you in all I do, say, and think. In Jesus' name I pray. Amen.